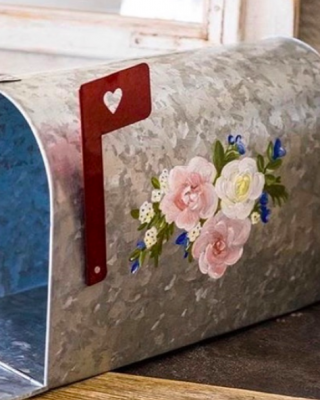 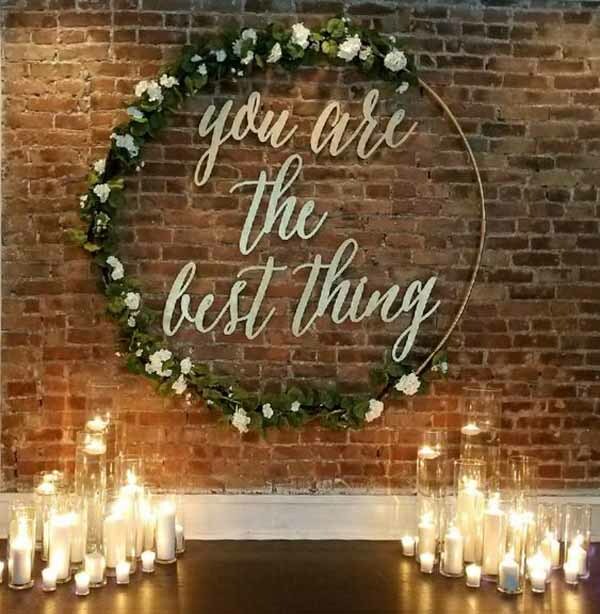 Backdrops look great against exposed brickwork, this large hoop has an asymmetric floral design with gorgeous gold script incorporated into the design and a load of cylinder vases at the base. 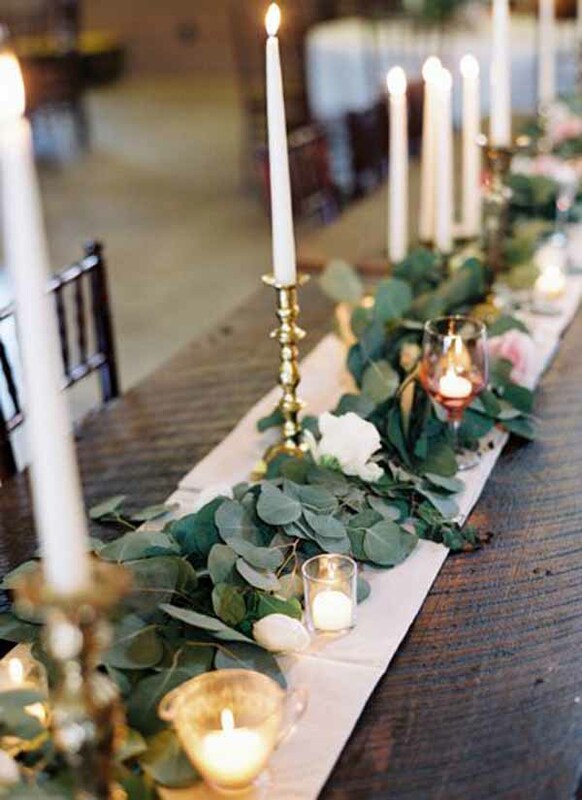 How about this for a ceremony backdrop or behind the top table, imagine the photographs. 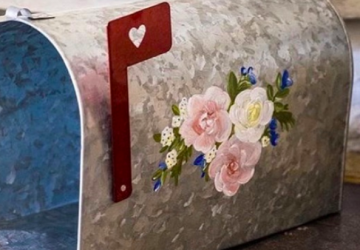 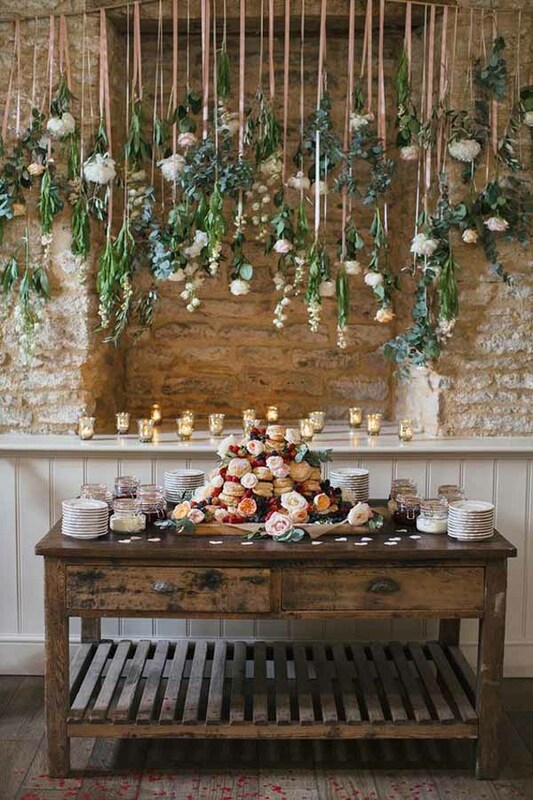 Create a backdrop for your wedding cake. 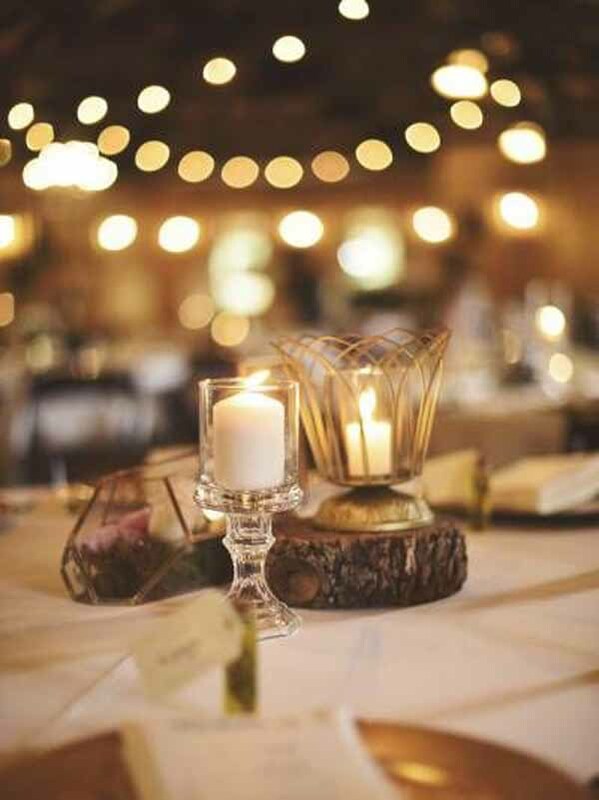 I mean who wouldn’t love this at their wedding. 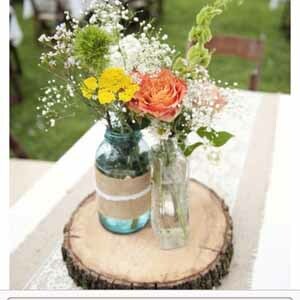 Whether you are having a traditional wedding cake or donut tower, as shown here, why not make is a focal point for your decor. 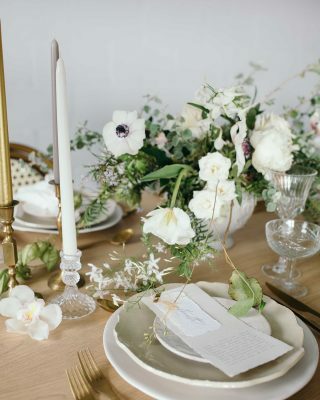 Hanging flowers and foliage on silk ribbons above the cake and copious amounts tea light holders behind look WOW. 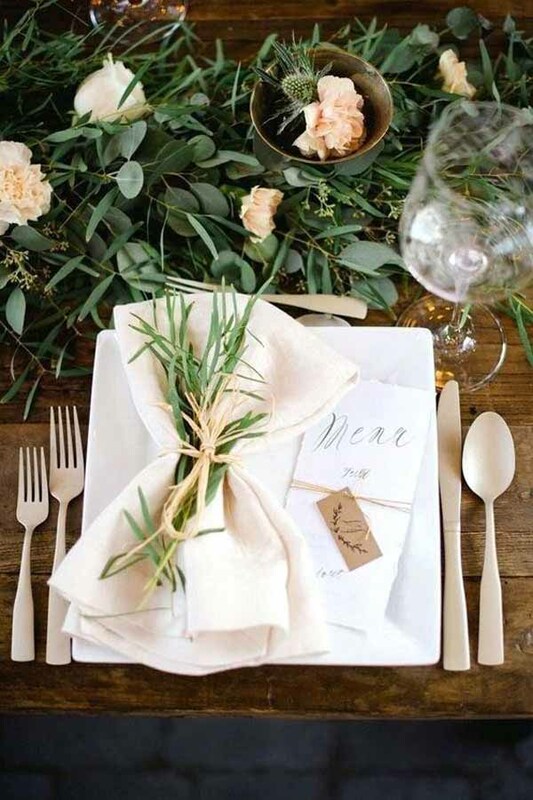 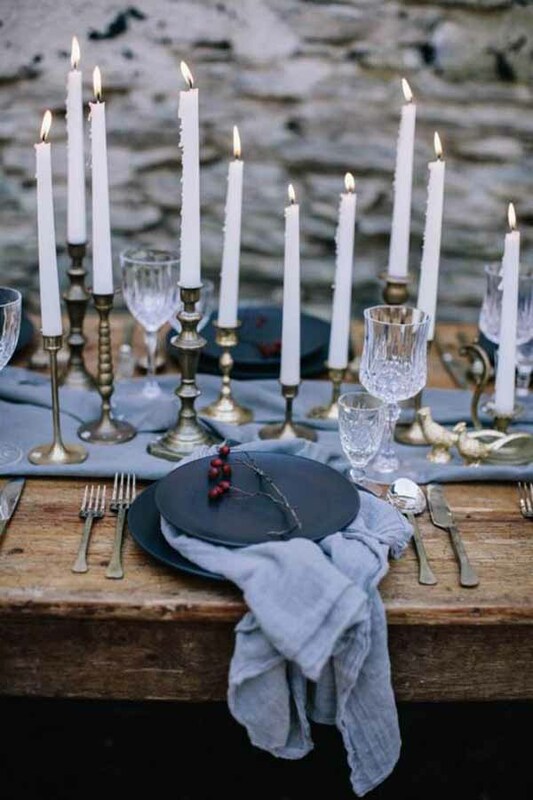 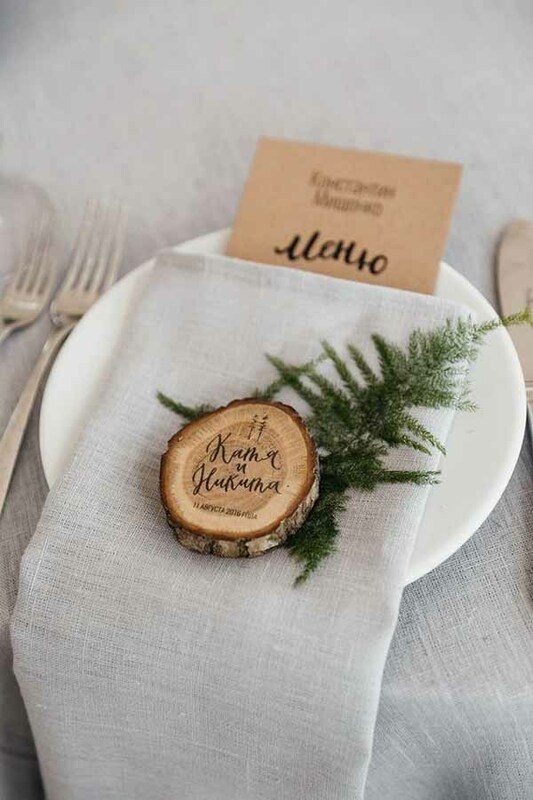 Place settings are a great way to get your style across, a small spring or cluster of foliage on each napkin ties with twine, raffia or ribbon can look stunning. 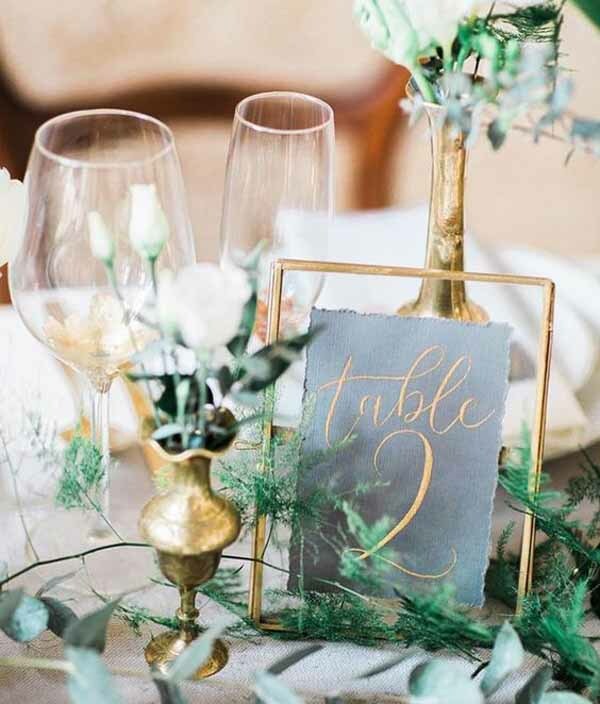 If you are giving individual menus for each guest lay them on the plate too. 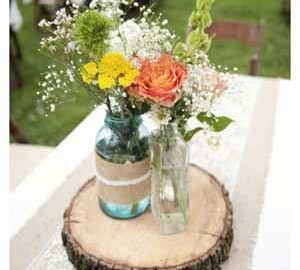 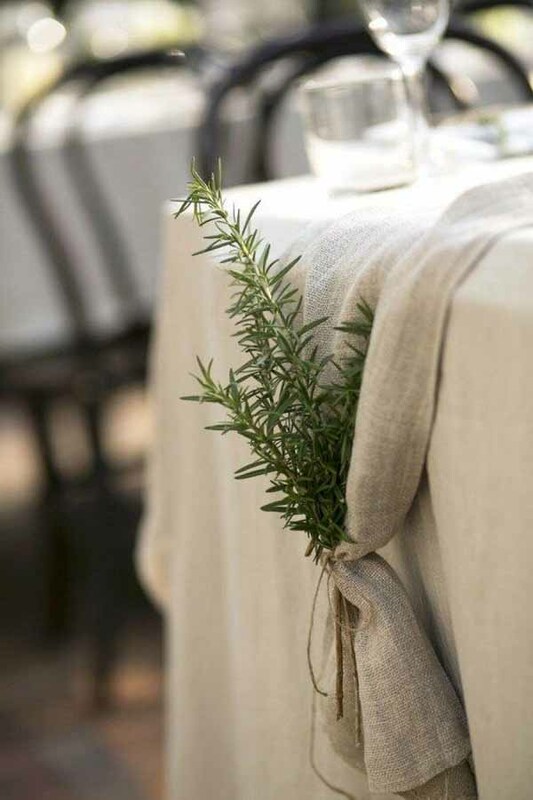 Table runners will really set the look of your tables, opt for natural linen in colours of your choice. 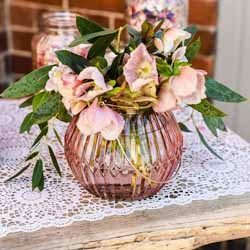 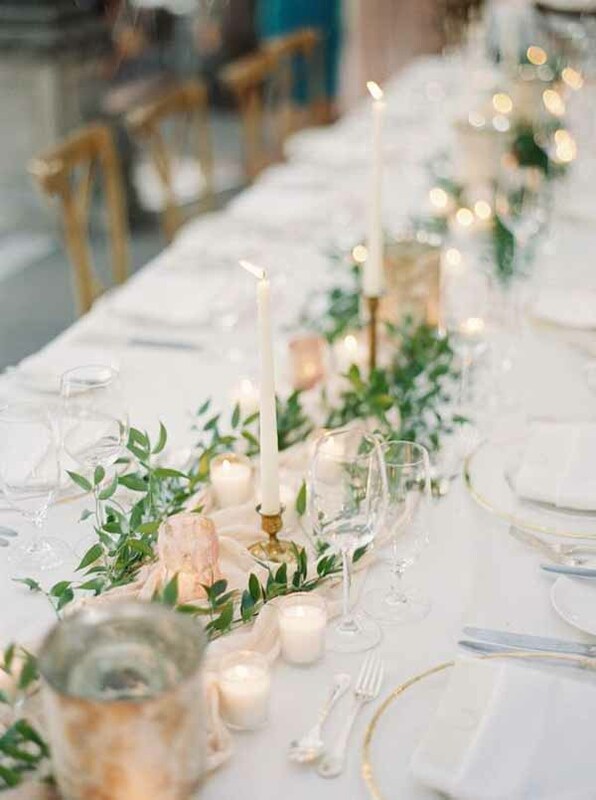 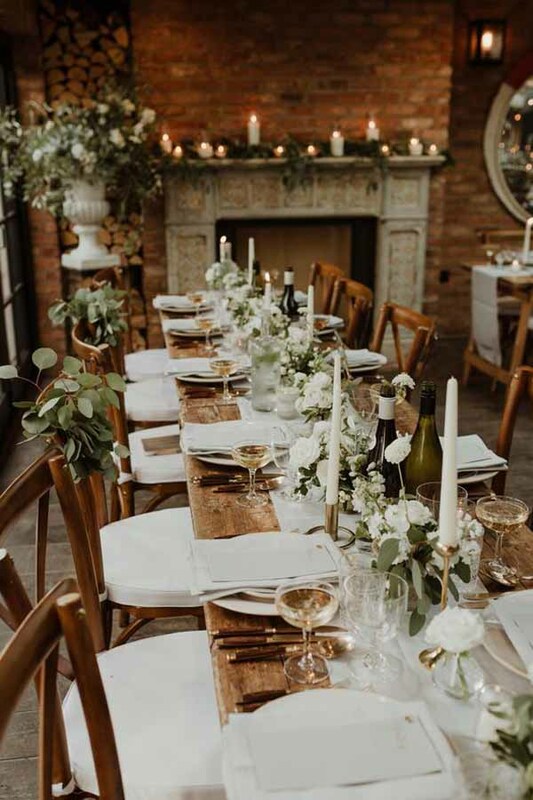 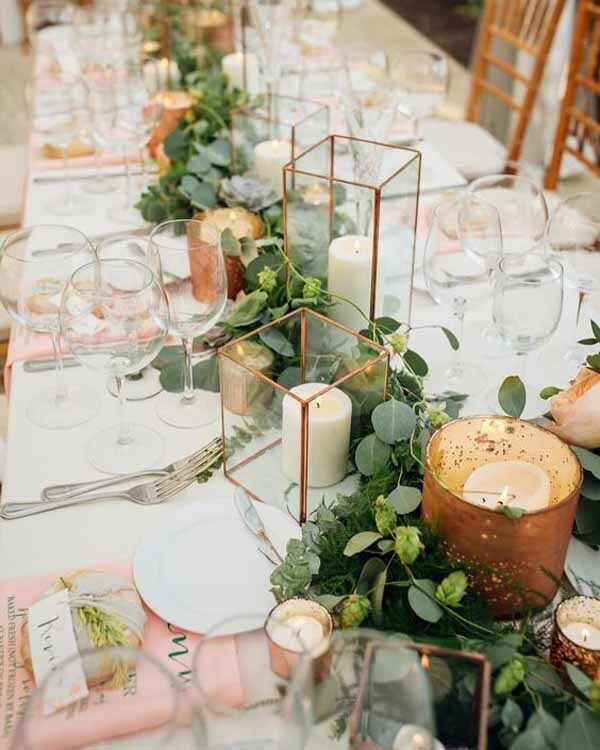 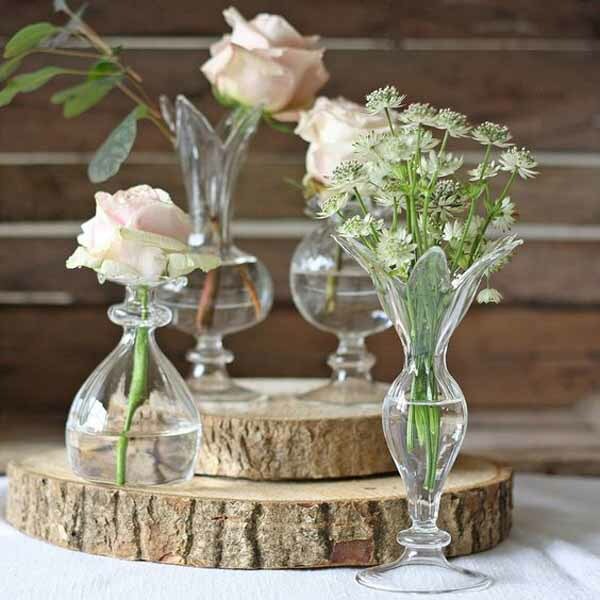 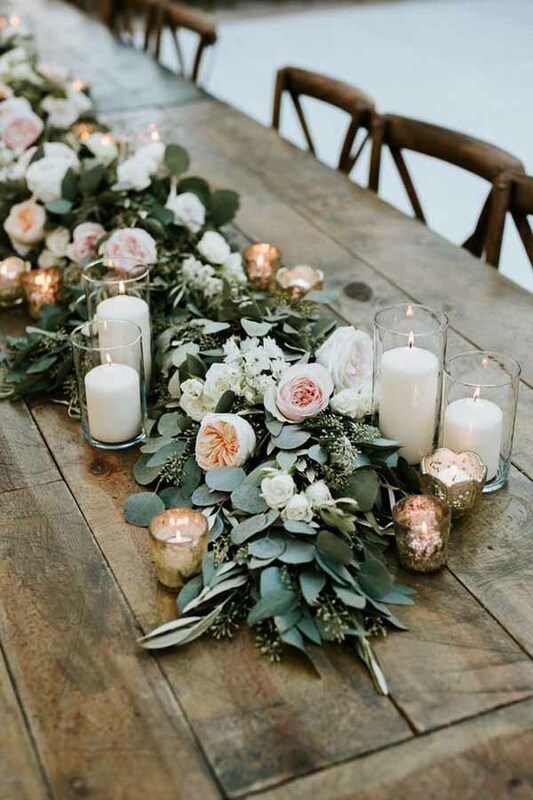 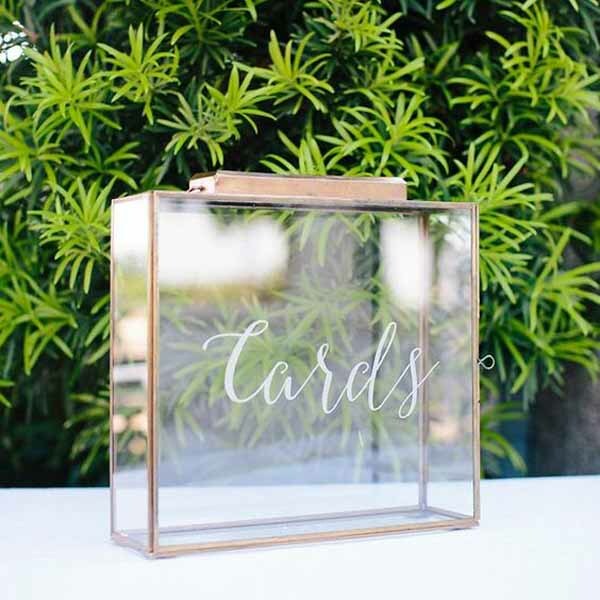 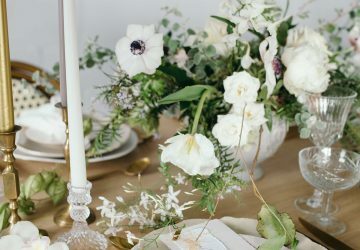 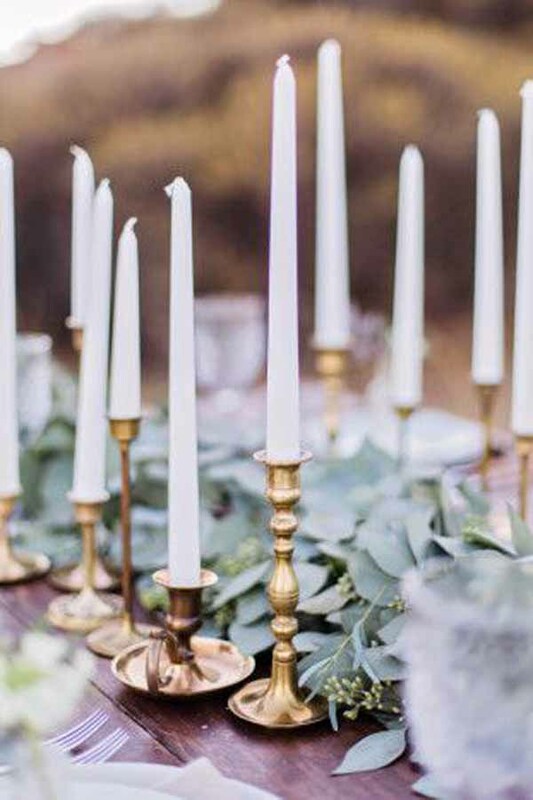 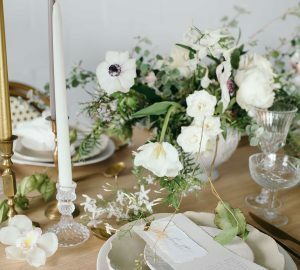 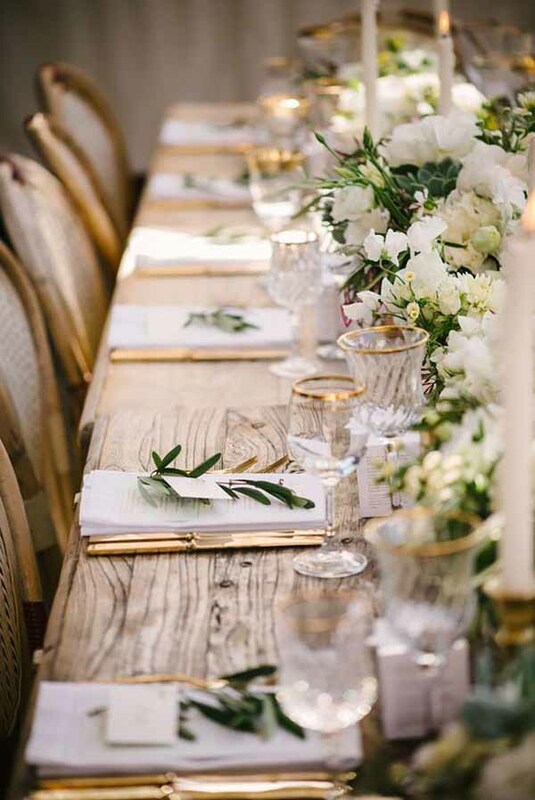 You can even add lovely finishing touches at the end of the tables – a sprig of roesmary tied with twine for a lovely scent as guests enter the room. 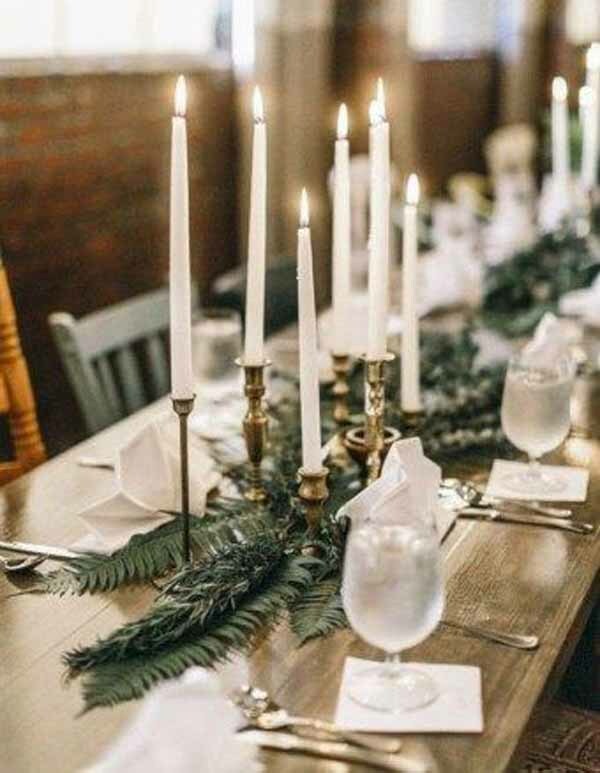 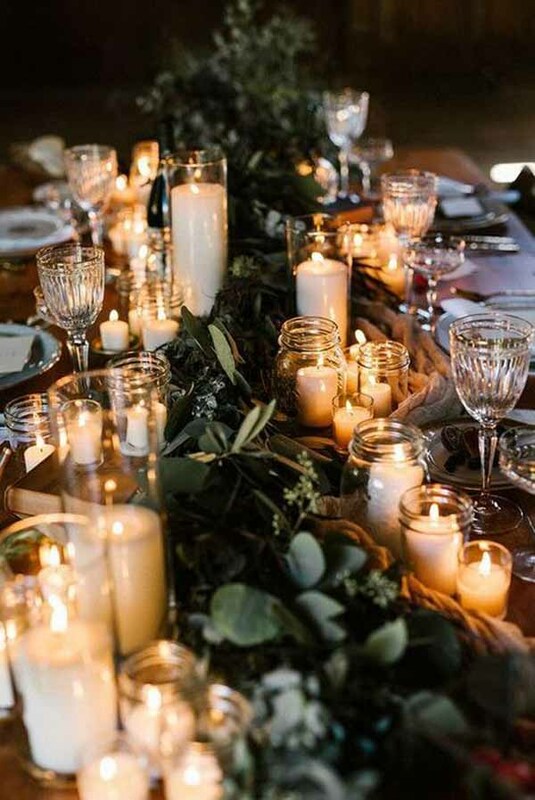 For a dark and moody look try foliage in a darker green running down the table with clear glass lanterns, often cylinder vases and jam jars with pillar candles can look great.